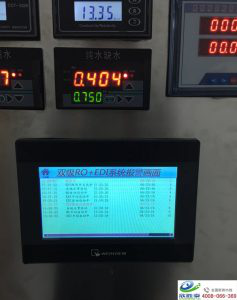 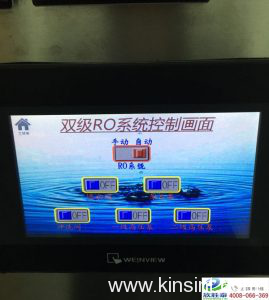 PLC automatic control system - Xi'an Xinshengtai Water Treatment Technology Co., Ltd. 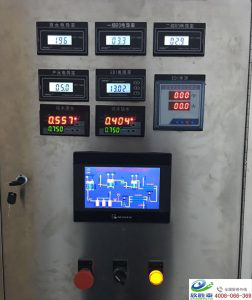 The PLC has two types control system, site control and control center, both of them have manual and automatic control mode, manual control mode is a supplement to automatic mode convenient to control system, provide the conditions for the maintenance of the system..
Real time monitoring is to recording and processing the alarm signals and parameters in the working site. Among them, the switching process diagram, the control center can provide dynamic interface related to multiple water treatment , can understand the full range of equipment, and the operation condition of each segment, the interface can switch at any time; monitoring of working process, control operating personnel, data can be set to the operation of the valve, control and the selection of stop or start. 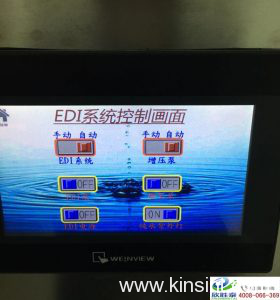 When fault occurs, the system will appear commands set in the previous, make a preliminary analysis of the accident, and the alarm screen remind the operator to prompt. Can be divided into the history and the current two alarm window, the current display is the current information of relevant information, reset the alarm then information could disappeared from the alarm,, historical information is the storage of alarm information , after the reset, the relevant information still exists. 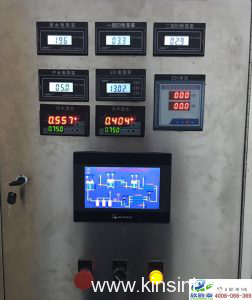 In the control center, provides us a trend display screen, display two trend of real-time and historical, history shows the past work state, is conducive to the staff view about the trend of the past Real time trend is to record the equipment current change in the process, showing the continuous trend curve , Can also read the actual data at any point, convenient observation of staff.